Create your own parties with Peppa, George, and their friends! Fans of Peppa Pig will love this Party Pack! 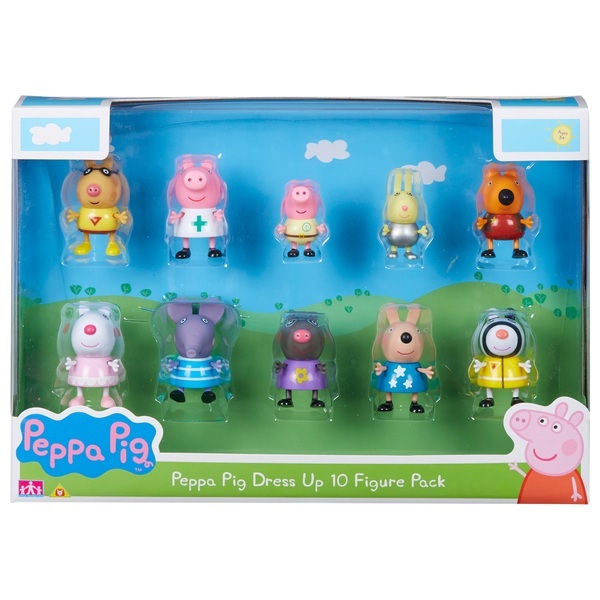 Peppa Pig celebration pack of figures in exclusive party designs! Each figure is articulated with moving arms and legs. Includes Peppa Pig, Emily Elephant, Molly Mole, Suzy Sheep, Rebecca Rabbit, Gerald Giraffe, George Pig and Richard Rabbit, as well as party gifts and a cake!